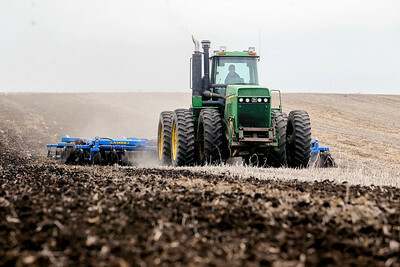 Sarah Nader- snader@shawmedia.com Linnea Kooistra, owner if Kooistra Farms in Woodstock uses the tractor tiller while preparing for planting crops Thursday, April 10, 2014. Along with being dairy farmers, Kooistra Farms also grows winter rye, corn and soy beans. 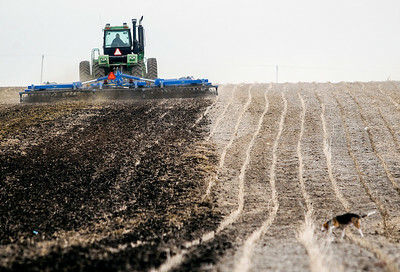 Sarah Nader- snader@shawmedia.com Linnea Kooistra, owner if Kooistra Farms in Woodstock lowers the tractor tiller while preparing for planting crops Thursday, April 10, 2014. 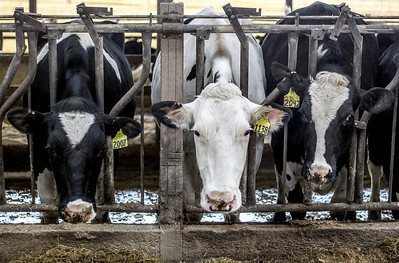 Sarah Nader- snader@shawmedia.com Cows at Kooistra Farms in Woodstock Thursday, April 10, 2014. Sarah Nader- snader@shawmedia.com Linnea Kooistra, owner if Kooistra Farms in Woodstock visits with some of her cows Thursday, April 10, 2014. 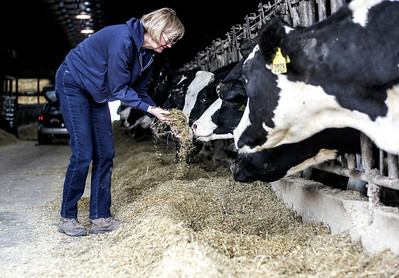 Among the changes in the Farm Bill passed earlier this year is a new insurance program for dairy farmers, which Kooistra said will help small dairy farmers stay in McHenry County. The bill also repeals direct payments to farmers while strengthening crop insurance. 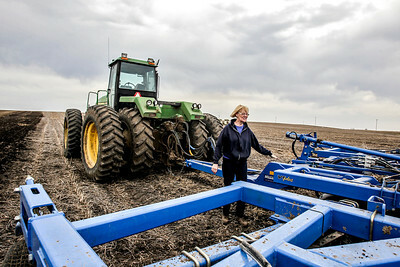 Linnea Kooistra, owner if Kooistra Farms in Woodstock uses the tractor tiller while preparing for planting crops Thursday, April 10, 2014. Along with being dairy farmers, Kooistra Farms also grows winter rye, corn and soy beans.